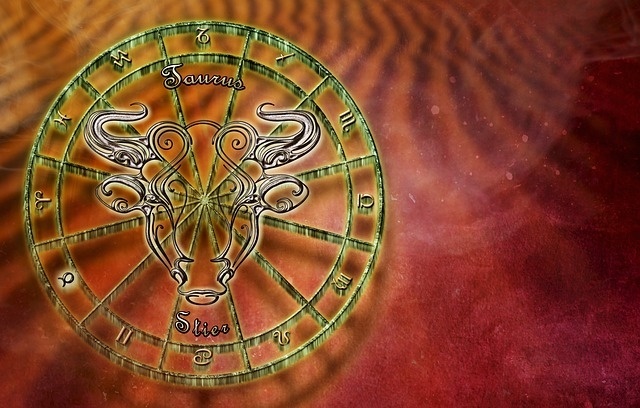 Weekly Taurus horoscopes for the week ending 26th May 2018 – with a difference! We tell you the planetary weather, and you decide how you will plan around it! Will you take an umbrella? Will you dance in the rain? Or will you fall in a puddle? Same weather, different outcomes! This astrological weather report for the week ending 26th May 2018 is for people with predominantly Taurus energies in their chart. For example, this could be if Taurus is your sun sign, rising sign, or moon sign. By seeing what zodiac sign the moon is traveling through, we can work out which areas of life you will instinctively reflect upon for a day or two, and how the energy “weather” will interact with you. With the moon in Leo, you find you instinctively focus on matters connected to family and the security of your life’s foundations. You may experience conflict in regard to this as you are beginning to appear very unpredictable. Additionally, you may find that aggressive interactions in your public life may see you feel insecure about the foundations of your life. Despite this, a significant other is a source of positive support. As the moon moves into Virgo, you instinctively seek out fun, romance, and creative expression. Initially, this appears to fit very nicely with the new and unexpected aspects of your personality that are emerging. Nevertheless, your intuition is to take stock of your material resources, and you may worry that you don’t have enough to pursue any fun adventures. You have the opportunity, however, to speak well and communicate lovingly, which may open up a chance for romance. As the moon moves into Libra, your instincts turn to dealing with practical and health matters. It could be that your boss appears aggressive, and this causes you to pursue more material resources intuitively. You may also feel that your ability to communicate your health or practical needs is too soft. Additionally, you are entering a period where community visions and idealism will positively influence your committed relationships or pursuit of this. As the moon moves into Scorpio, you instinctively focus on committed relationships. It could be that you feel insecure as you notice you are changing unpredictably. Also, you may think that your aggressive desire to pursue your life goals conflicts with what you want from a significant other.